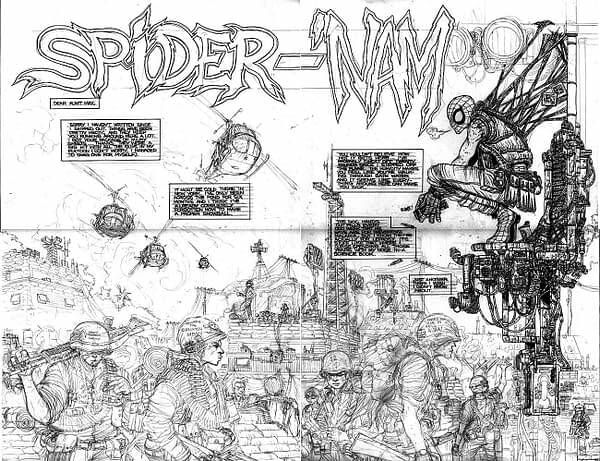 When Marvel Comics first began publishing Spider-Man, the story played out in real time. 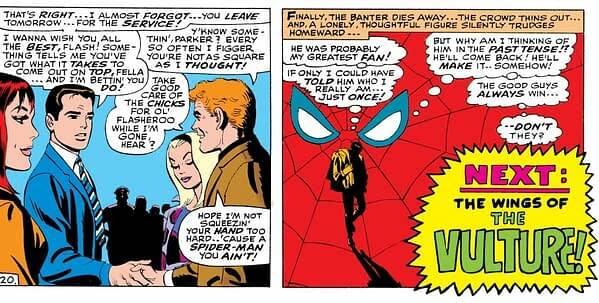 A year for Peter Parker was a year for the readers. Soon he was graduated from high school and off to college. 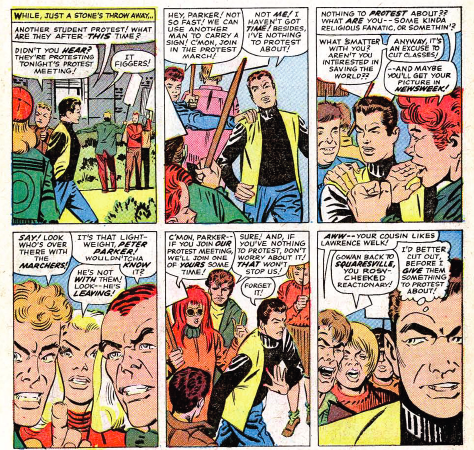 At this point, his timeline slowed down to a crawl, the more traditional suspended time for telling comic book stories. But what if it had not? 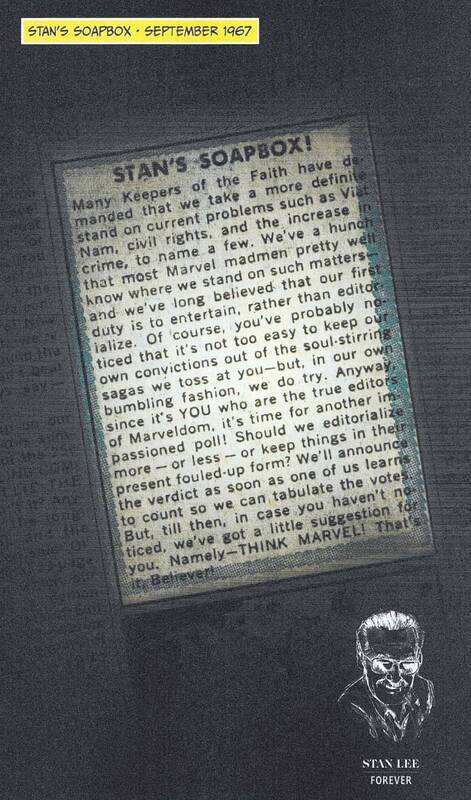 Also at the time, Stan Lee was asking questions as to how much of the world Marvel comics should reflect in its comic books. Such as the Vietnam War. 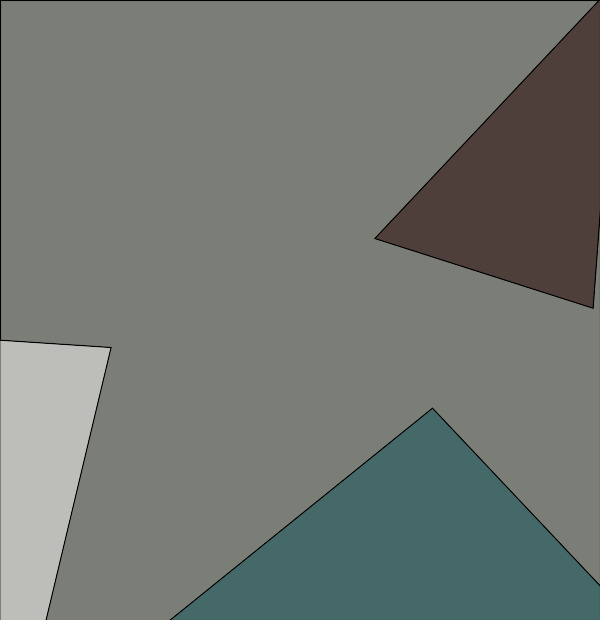 It was certainly mentioned but it did not become integral to the character’s lives. 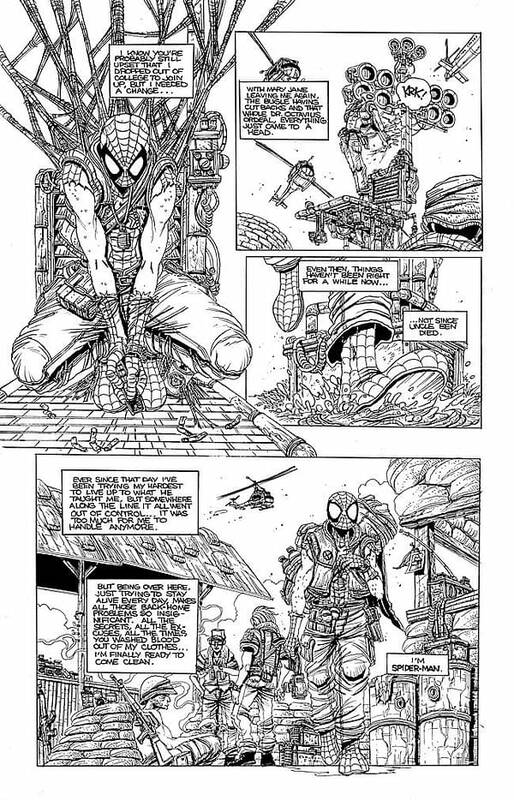 For those who asked, the Spider-Nam pages I posted isn’t the whole story. 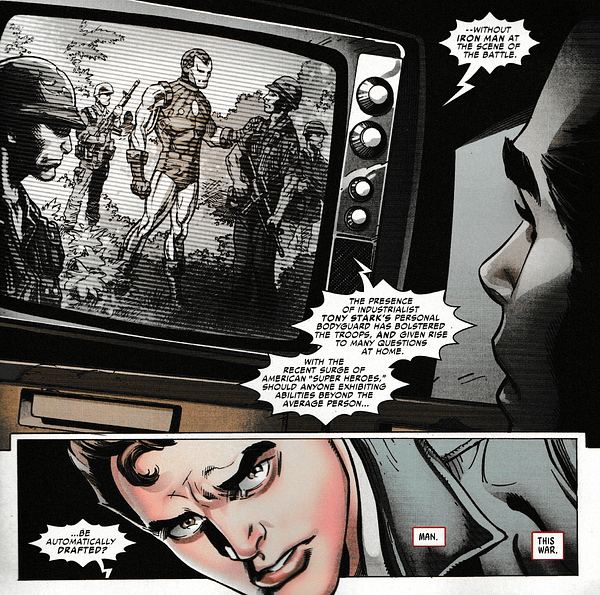 He still has to slog to the Cambodian border to find Curt Connors. 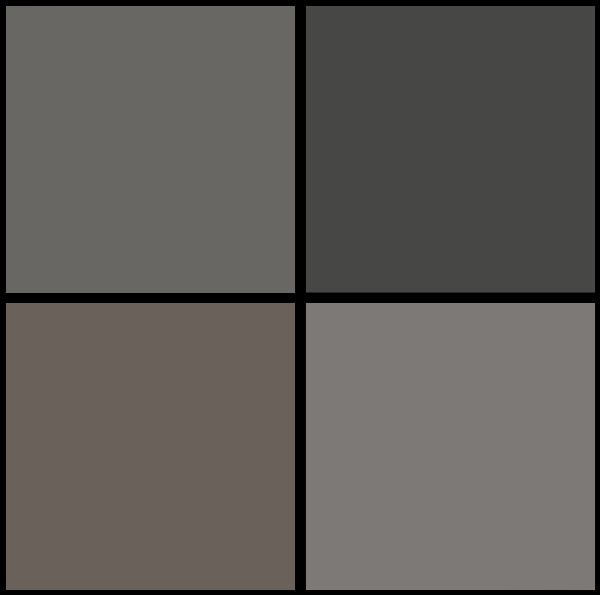 + M79 web launchers, Marvel character racial tension & cynical stabs against Captain America! That oughta make it completely unpublishable! 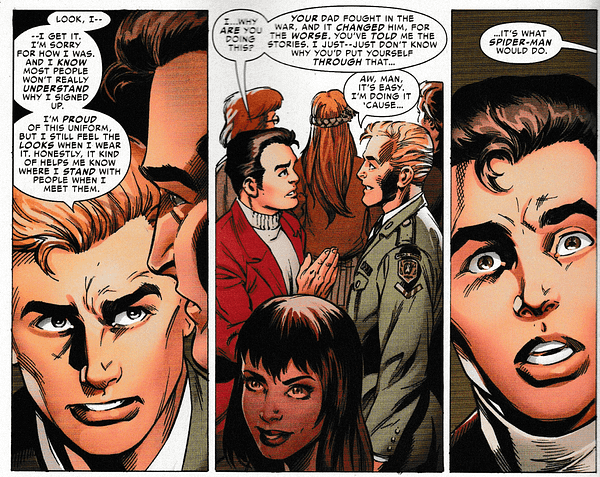 This is is marked difference to the way Parker was originally portrayed by Diko and Lee in the earliest of days. 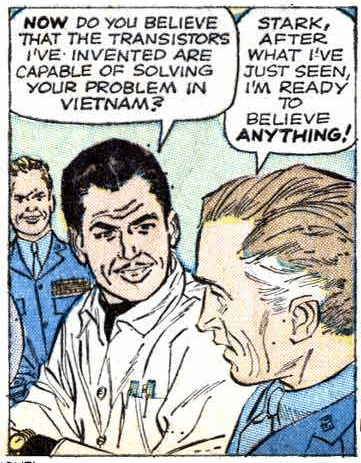 Vietnam being the original source of tension that created Iron Man back in the day. 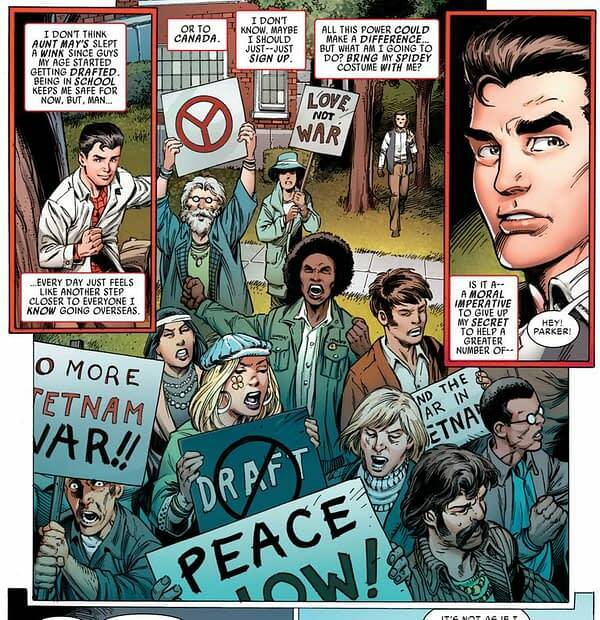 Notes of Civil War emerge with the idea that all superheroes should be drafted for Vietnam. 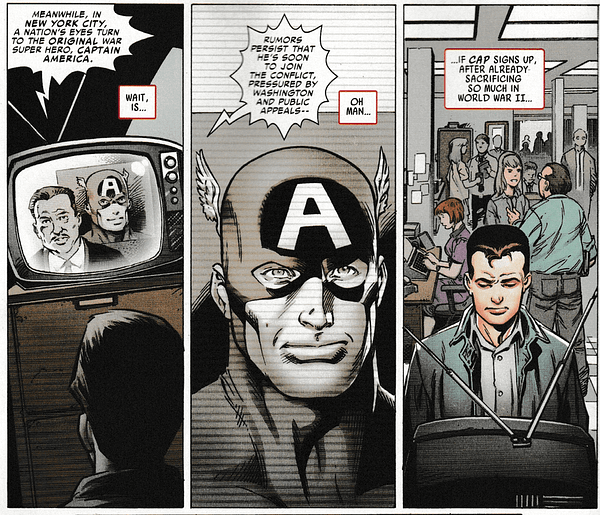 And even a cynical stab at Captain America – which gets a lot more cynical by the end of the first issue. 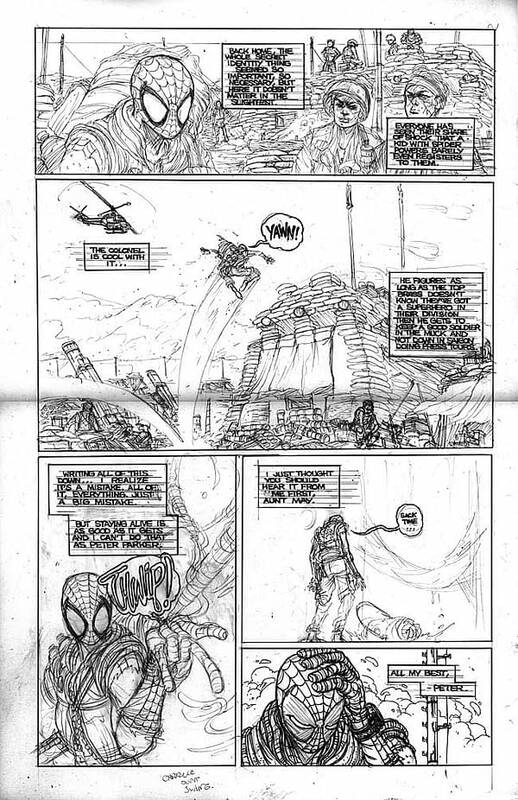 Spider-Man: Life Story #1 is published tomorrw by Marvel Comics.